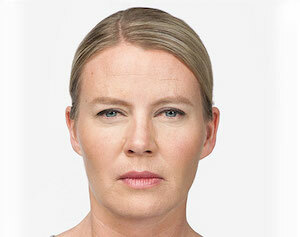 How does BOTOX® work ? 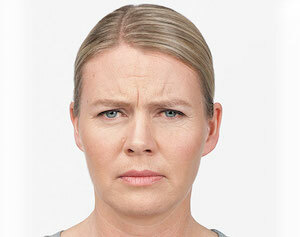 Common injection sites include the forehead, the area between the eyebrows, the corners of the eyes, and the sides of the chin. What is a BOTOX® session like? While most people tolerate the injection discomfort well, your doctor might use one or more of various methods available to numb the area, such as topical anesthesia, ice and vibration anesthesia, which uses massage to reduce discomfort. During the procedure your doctor uses a thin needle to inject tiny amounts of botulinum toxin into your skin or muscles. The number of injections needed depends on many factors, including the extent of the area being treated. Botox injections have no downtime. You can expect to return to normal activities after the procedure. You need to be cautious to not rub or massage the treated areas. This can cause the toxin to migrate to different areas. What results can be expected from BOTOX® ? While BOTOX® will temporarily smooth your fine lines and wrinkles, to maintain results most people will need another treatment within three to six months. Check out these articles to learn more about BOTOX or how it differs from Dermal Fillers. Who should not use BOTOX® cosmetic? Do not use BOTOX® Cosmetic if you are: allergic to any of the ingredients in BOTOX® Cosmetic such as botulinum toxin type A and human serum albumin; had an allergic reaction to another botulinum toxin product such as Myobloc® (rimabotulinumtoxinB), Dysport® (abobotulinumtoxinA), or Xeomin® (incobotulinumtoxinA); or have a skin infection at the planned injection site. The most common side effects include temporary injection site pain; weakening of adjacent facial muscles; drooping eyelids; swelling eyelids; and headache. Other side effects, while less common, have been reported including blurred vision, double vision and allergic reactions (itching, rash, red itchy welts, wheezing, asthma symptoms, dizziness or feeling faint). These are not all of the possible side effects. Call your doctor for medical advice if you experience any side effects after treatment with BOTOX® Cosmetic. Have questions about BOTOX® Cosmetic? Contact us for a consult.